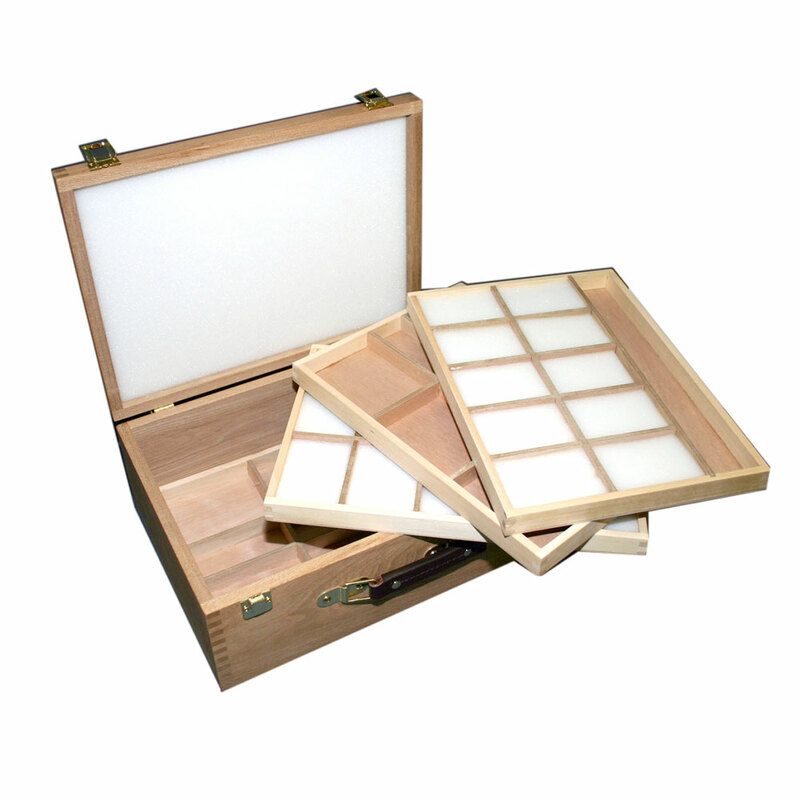 Quality wooden boxes which can be used to store pastels. Available in either 2 or 4 trays. Two trays have foam in the compartments. Leather carry handle with brass fittings. 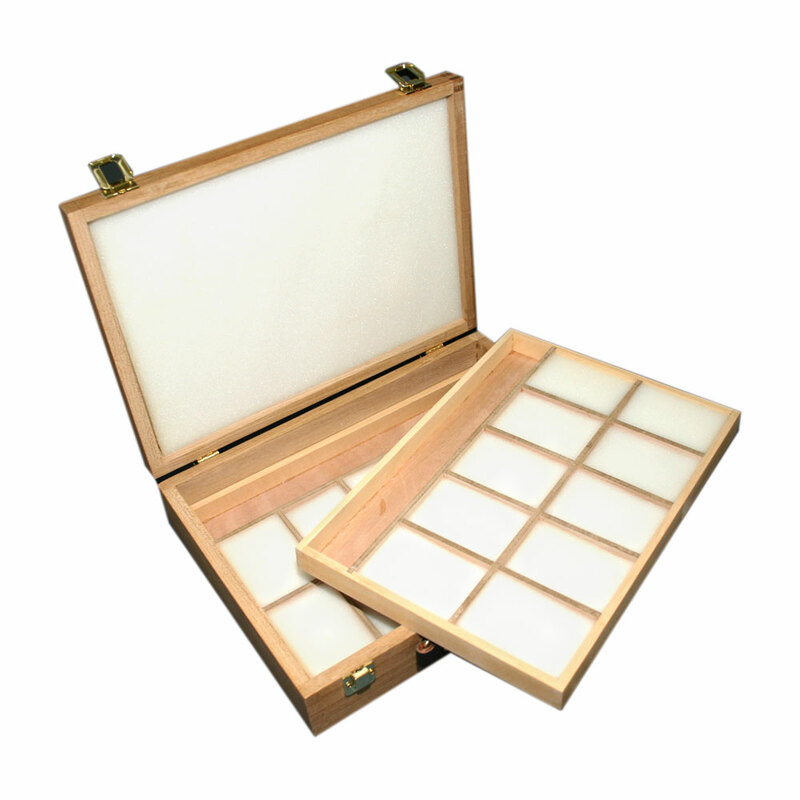 The depth of each of the trays in these boxes is 1.6cm.